Bring on the Riverdale babes. We’ve seen KJ Apa’s routine, which was requested pretty quickly into the first season of Riverdale, but now after two seasons we’ve been getting more and more requests for the rest of the cast. And I’m all about it. Being that our male star for the week isn’t going to be a Riverdale star I figured it was okay that I wasn’t starting this theme with Betty or Veronica. I’m sure you guys understand and are more than happy with Madelaine! Madelaine Petsch falls right into the average height range among celeb women we’ve seen at SHJ. She’s not quite as tall as women like Gal Gadot, Jennifer Lawrence, Gwendoline Christie, Karen Gillan, Zendaya, Rihanna, and many more women that are above average. The average height we see is actually 5’4-5’6 with women like Jennifer Aniston, Margot Robbie, Rosario Dawson, Katie Cassidy, Katheryn Winnick, Alicia Vikander, and a ton of others. The below average height is shorter, with ladies including Scarlett Johansson, Emilia Clarke, Natalie Portman and more. But, don’t worry either way. Regardless of your height and weight you can utilize this routine. 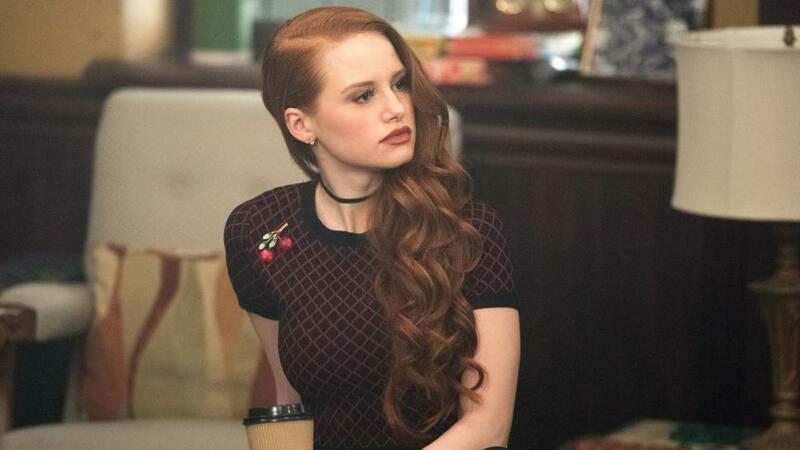 Madelaine Petsch is a total babe. Like most of the Riverdale stars. In an interview with People Magazine she not only tells us what she eats in a day, but she also immediately informs us that she follows a vegan diet. 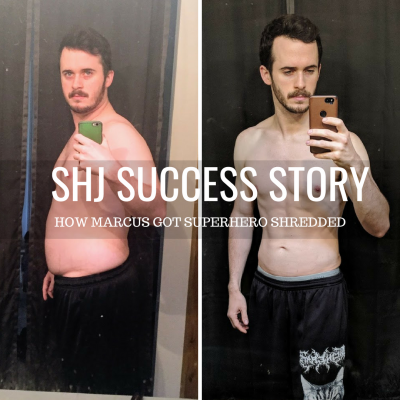 SHJ is built around finding what works for YOU. 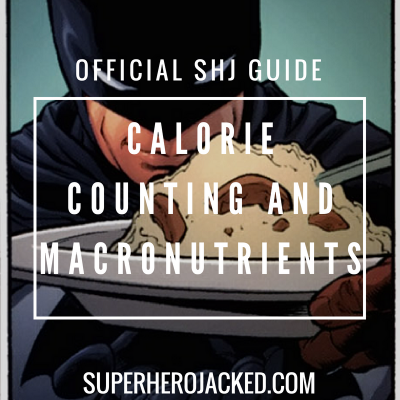 Whether that’s using the Nutrition Pillars right on the site, or even The Academy Nutrition Classes (Monks, Samurais, Vikings, Hunter Gatherers, Minimalists, SuperHumans, Greek Gods, Spartans); the purpose is to try and find the most sustainable regime. And most of the celebrities we research on the site know this. While Petsch repeats some of her meals – “I eat [overnight oats] everyday!” she says – she also allows herself to switch it up depending on her schedule. Hey, she’s kind of like me! I repeat meals all the time. If you’ve seen any of my vlogs you’d know in my Full Day of Eating videos that I repeat things like eggs, oats, and Chipotle more than I’d like to share (but do anyways)! And, before we go I’ll even share the daily breakdown of her meals with you guys. Time for a nice workout. In the same article with People Mag Petsch gives us a quick rundown of her workout routine. In addition to her animal-free diet, Petsch also swears by her six-day-a-week workout routine. “I exercise for an hour and a half: a 2 to 3 mile run, and then muscle training,” she says. Oh, and yes, People tells us that is six-days-a-week! Do you like how I added the dashes like them? Self.com also posted an article about Petsch’s workout routine in which they shared a clip of her Instagram story. I’ll share it here. You can click the image to see a bigger version. But, more importantly from this clip, we know we’re going to focus workouts around glutes! I won’t be programming this movement specifically, as I don’t expect you to set up the resistance band every time like that, but I promise my glute exercises will get the job done for you! Looking to step it up a notch? Check out The Superhero Academy and start unleashing your inner SuperHuman. 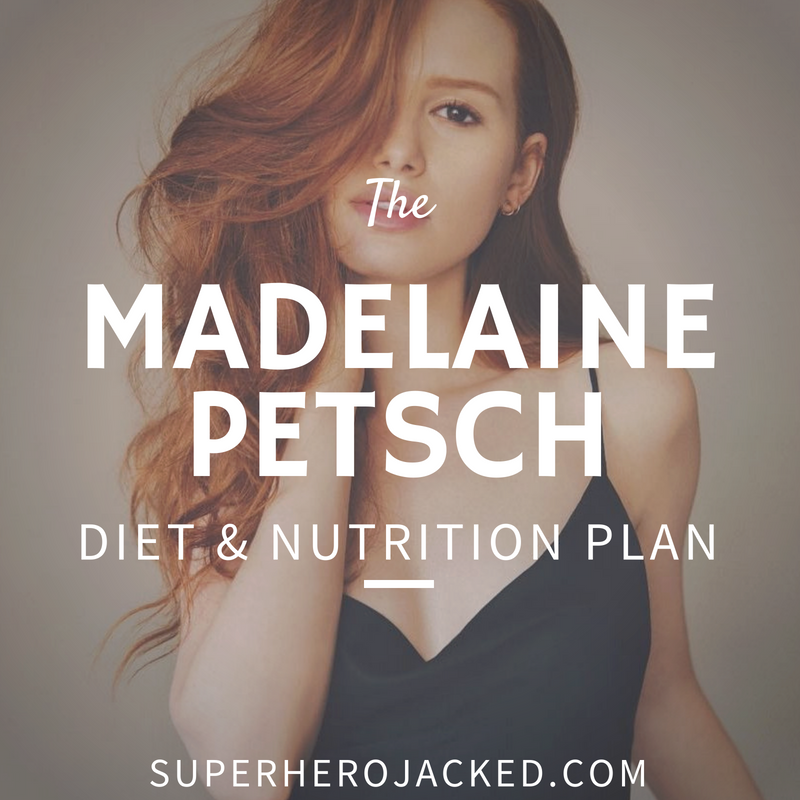 Madelaine Petsch says she works out 6 days per week. I’ll be programming you 3 days which you will perform twice per week. I suggest taking one day to rest in between. 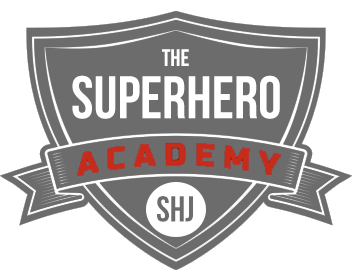 Join The Superhero Academy and start unleashing your inner SuperHuman. JOIN TONS OF NERDS AND AWESOME PEOPLE BECOMING SUPERHUMANS! Over 100 Celeb Workout Routine PDFs!!! Easily print it out or download it for the gym! I HATE SPAM! Don't worry, your email is safe with me. I freakin' hate spam! Don't worry - your email is safe with me!